One of Tanzania's top referees has been handed a life ban from football after Fifa found him guilty of taking bribes. 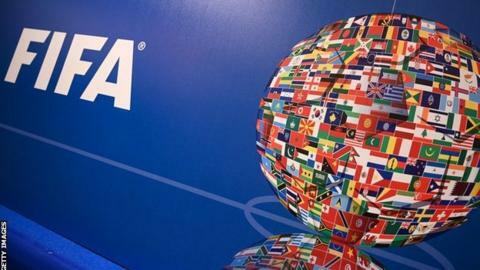 The case, opened in July 2018, was handled by Fifa's Ethics Committee which ruled Oden Charles Mbaga had breached the Fifa Code of Ethics. Fifa told Reuters that the ban relates to bribes "to manipulate several national and international matches between 2009 - 2012" with no further details of the games given. Speaking from Dar es Salaam, Mbaga told the news agency he was questioned by Fifa in 2010 but had not heard anything since and knew nothing about match-fixing. "This is shocking news to me," he said. "I know Fifa was doing an investigation and the last time they came to interview me about the issue was in 2010. "I told them openly that I don't know anything about match-fixing and I have never heard anything from them since then. "For now, I cannot say anything as I don't have clear information." He has been banned for life from all football-related activities, not just refereeing, at national and international level.